IDGCA has prepared Message to the Government, based on the decision of participants of the conference, held in September 2011. Special attention of the Government is pointed to the absence of clear division of powers between the supervisory authorities, which execute supervision in the industry, on transport and in the ports. Practically for the same type of activities, which the companies carry out in the port, is required several state licenses, obtention of which is related to additional costs and checks. As it is stated in the Message, such practice does not meet the interests of safety and business, but is only additional burden. An example of such is the requirement on availability of the Rostekhnadzor license for the companies, which carry out transportation and handling of dangerous goods in the port, thus evening the port to the fire and explosion hazardous facility with all the following consequences and costs. At the current session of the UN Subcommittee of experts in Geneva IDGCA has persuaded the experts of Subcommittee to withdraw the proposal on tightening of the measures, concerning transportation of the chrysotile and its derivants. Adoptionof the proposals of the expert from Australia could place the chrysotile manufacturers in many countries in a complex situation, up to shutdown of the enterprise because of the high costs for packaging.The letter, prepared by the experts of IDGCA together with the experts of Chrysotile Association, aided the UN experts to make balanced decision. Rostekhnadzor has prepared a newdraft of the Administrative regulations on issuance of permissions for use of the technical devices. The new regulations remained as enigmatic and incomprehensible as the previous one. The Applicant for issuance of permission for use will depend on the will of a particular public officer, who will receive the documents. It is incomprehensible how these regulations combine with the law on technical regulation and with technical regulations, which establish requirements for the equipment, used on the Russian Federation territory. The unreasonably complex and long-term process of issuance of permission for use of the technical devices hardly will contribute to the increase of safety, instead the costs related to issuance of permission for use may often be higher than the price of the equipment itself. On August 16th, 2011 International Dangerous Goods & Containers Association celebrates its 10th anniversary. For the past 10 years the organization obtained respect of the representatives of business and authorities, who in one or another way are connected with the transportation of dangerous goods and international legislation in this sphere. IDGCA was founded in St. Petersburg and it is one of the few non-commercial organizations, which are registered in Russia and carry out its activities on the principles of independence, openness and professionalism. Obtention of the consultative status in the UN Sub-committee of Experts in 2004 led the organization to the international level and allowed the Association and its members to participate in improvement of the international normative base in the sphere of dangerous goods transportation. During its existence the Association had to bear not only happiness from victories and achievements, but also meet with those negative phenomena which are yet present in our society. Open and just position and technical policy of our organization often met resistance and even aggressiveness of those people, who are accustomed to live on the account of administrative protectionism, state monopoly or simply upon the notions despite common sense and logic. Many times our organization “was tested on strength”, with honor endured the ordered checks and attempts of separate persons to discredit the activities of Association and its affiliated companies. However, our organization has many friends, supporters and all those who want to develop free market economy on the competitive basis, give priority to professionalism and those values that are recognized in the whole world. Many organizations and representatives of the authorities have supported our activities and cooperate with our organization not only in development of the modern normative and legislative base, but also in improvement of honest human relations without which it is impossible to achieve progress. 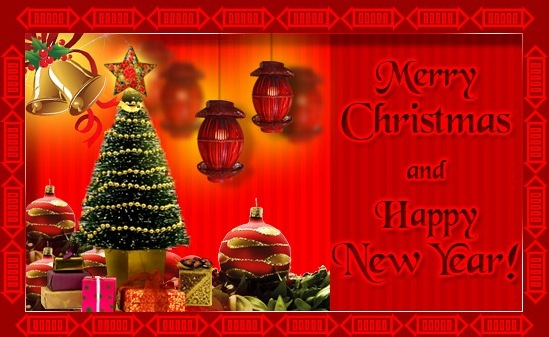 We congratulate all the chiefs of our Association members and their employees, partners and friends both in Russia and abroad and we hope that a new decennary will be marked with yet more grandiose success, solidarity and overall comprehension. On July 7, 2011 in Moscow in the Federal Service on supervision in the sphere of consumer rights protection and human well-being took place the all Russian meeting with the agenda “Organization and record keeping of the transportation flows of dangerous goods and hazardous chemical substances in the Russian Federation”.The meeting’s program contained a wide range of questions related to the dangerous goods transportation safety and was opened by the Rospotrebnadzor Chief, Onischenko G.G. General Director of IDGCA, Ognev M.I. participating in this meeting upon the invitation of Rospotrebnadzor, made the report “Multi-modal transportation of dangerous goods”. Upon the meeting results, the solutions directed on increase of the dangerous goods transportation safety and human well-being will be prepared. In June 2011, in Novorossiysk on the base of “Novorossiysky sea trade port” OJSC took place the pre-attestation training (in the form of a seminar) and attestation of the specialists connected with handling and transportation of dangerous goods. The pre-attestation training was carried out by the instructors of International Staff Training Center (ISTC), the specialists’ attestation was carried out by the representatives of the Black Sea Division of Gosmorrechnadzor and IDGCA. Upon the results of attestation 27 employees received the certificates and were recorded in the register of specialists on dangerous goods. High organization and responsible approach of the “Novorossiysky sea trade port” top managers towards preparation of their specialists in the sphere of safety were recognized. The chief of the Black Sea Division of Gosmorrechnadzor, Chernykh A.P. directed the letter to the address of the Gosmorrechnadzor chief, Ermolaev P.M., where high professional level of the carried out training was recognized. The next seminar on training of the specialists connected with handling and transportation of dangerous goods will take place on July 25 – 29, 2011 in Kaliningrad. 2. Do not hand over, suspend or terminate validity of certificates and other documents, issued by RMRS in the case of nonconformity of the companies, ships, maritime facilities and facilities of technical supervision with the requirements of acting rules of RMRS, in the case of overdue payments for the RMRS services. The library of IDGCA received a new edition of DOPOG in Russian language. These rules have entered into force since January 1st, 2011. 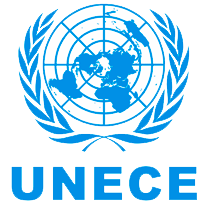 May 25, 2011 At the period of June 20 – 24, 2011 in the Palace of Nations (Geneva) will take place the 39th session of the Subcommittee of experts of UNECE on transportation of dangerous goods. For participation in the session the delegation from IDGCA is being formed. 4. “Half a century of the engineering practice” P.S. Voloshin and other. Those who wish can obtain the magazine by tel. (812) 421-54-51, 740-20-19. 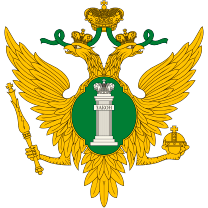 The federal law “On licensing of separate types of activities” dated 04.05.2011 was adopted by State Duma on 22.04.2011 and approved by Federation Council on 27.04.2011. This federal law enters into force after expiration of 180 days from the day of its official publication (06.05.2011). Principal distinction of the new law from law “On licensing of separate types of activities” №128 dated 08.08.2001 consists in that the number of types of activities for which it is necessary to obtain the licenses is shortened to 49. In the new law the requirements on obtention of the licenses on activities of the dangerous goods transportation by internal water, sea and railroad transport (point 21, 26), as well as the requirements on education activities (point 40) and on activities of carrying out of the industrial safety expertise ( point 49) are kept. Main advantage of the new law for the license seekers is that the license validity becomes unlimited. Also, the order of licensing is simplified. From July 1st, 2012 the license seekers can direct applications and the documents for obtention or re-issuance of the license in the computer-generated form. A new version of the draft of Order on the order of recognition of the organizations carrying out the survey of ships and preparation of the seafarers was placed on the web-site of the Russian Federation Ministry of transport. Regarding the essence of previous version, IDGCA addressed the Minister of transport Levitin I.E. with aletter requesting to suspend legalization of the Order. The new version of the Order draft has few distinctions from the previous one, except for the inspections which appeared in the order of recognition that have no relation to the procedure of recognition, and also with that the right to fixate for the organizations their powers is given to the Deputy Minister of transport. In the opinion of IDGCA, the corruption component has been fixated in the greater degree in the new version the Order draft. On April 22, 2011 Kulishova Lyubov Anatolyevna passed away at the age of 51. Lyubov Kulishova was the leading expert in the sphere of transportation of dangerous goods and made an enormous contribution into development of safety on transport. During many years she worked in “Maritime Cargo Bureau” and actively cooperated with IDGCA, participated in international work, showed herself as professional of the highest level and the kind and responsive person. The passage away of Kulishova Lyubov Anatolyevna is the irreparable loss for all of us. The present amendments stiffen the requirements to the enterprises performing international road carriage of dangerous goods and establish responsibility for absence of a certified consultant (advisor) on safety at an enterprise. The relative certificates are personalized. The period of validity of such certificates is 5 years. Special education establishments have the right to issue such certificates, and International Staff Training Center (ISTC) is among them. ISTC has been carrying out pre-certification trainings for advisors on dangerous goods since 2003. ISTC certifies the advisors at “IDGCA” NP with the subsequent entry into the register of advisors. In accordance with the Decree of the Government of the Russian Federation dated the 25th of February, 2011, №103, the power to issue special permits to go by road for transport means carrying dangerous goods in case when their route or a part of their route runs on federal roads, or on a section of such road, or runs on the territory of two and more constituents of the Russian Federation, was transferred to the Federal Service for Supervision in the Transport Sphere. •	Information on the route of carriage of dangerous goods with statement of departure, main, intermediate and destination points on the roads. In other cases the permit should be issued by the executive government body of the constituent entity of the Russian Federation or by the local government body in accordance with the procedure established by article 31 of the Federal Law dated the 8th of November, 2007, №257-ФЗ “Concerning Roads and Road Activities in the Russian Federation and Concerning Introducing the Amendments to Some Law Acts of the Russian Federation”. FGU “Russian Maritime Register of Shipping” (RMRS) addressed the Russian Federation Ministry of transport with acomplaint against the Administration of sea port Novorossiysk, which demanded from the specialists occupied in survey of the dangerous goods to have special background. Reaction of the Russian Federation Ministry of transport and Federal Agency of maritime and river transport was immediate. Requirements of the Administration of sea port Novorossiysk were cancelled. But what about fulfillment of the requirements and recommendations of international conventions, should they also be cancelled? Central scientific-research institute of maritime fleet (CNIIMF), one of the most active participants in the matter of promotion of the international rules and requirements concerning the dangerous goods, felt indignant by such imprudent decision and sent aletter to the Russian Federation Ministry of transport. One can suppose that RMRS cleans the road for its satellite “Association on certification “Russian Register”, which acts under the roof of RMRS. The event will be held on April 21-22, 2011 in St. Petersburg in the framework of the “United Russia” Party’s project “St. Petersburg – marine capital of RUSSIA” and is devoted to the questions of securing of safety for the Russian transport complex. The congress will be held on May 16, 2011 in St. Petersburg, in Tavrichesky Palace. In relation to implementation of the indicated changes, the Russian Federation Ministry of transport brings attention of the owners and the consignor shippers of tank-cars, as well as the carriers, on the point 1.6.3.18 of Annex 2 to SMGS, according to which the operation of tank-cars without assignment of the code as per international classification and appropriate marking is permitted until 01.07.2011. On March 24, 2011 the Russian Federation Government enacted the regulation №203 “On accession of the Russian Federation to Protocol of the year 1997 on change of the International Convention on prevention of the pollution from ships of the year 1973, changed by Protocol of the year 1978”. By this regulation the Russian Federation acceded to Annex VI of the International Convention MARPOL “The Rules of prevention of the air pollution from ships”. Palnikov K.G. has been appointed Director of the Department of state policy in the field of maritime and river transport by the Order of the Russian Federation Minister of transport №275/k dated 16.03.2011, instead of the former Director of the Department Klyavin A.Y. who is at present the Head of Association of the shipping companies. A draft ofthe order of the organizations’ recognition with a purpose of giving to them powers of authorization on survey of ships and the organizations carrying out preparation of the crew members of maritime ships in accordance with international Convention on preparation and certification of the seafarers and keeping the watch on duty of the year 1978 with amendments, as well as on carrying out of examinations related to survey of these ships and organizations” dated 04.03.2011was published on official site of the Russian Federation Ministry of Transport. One can suppose that it is related to the draft of the Russian Federation Government Regulation on accession of the Russian Federation to Protocol of the year 1997 on change of international Convention on non-pollution of sea by the ships of the year 1978 (MARPOL 73/78).Numerous provisions stipulated in the order’s draft contradict to provisions of the conventions on which the draft makes references and also to the regulatory legal documents adopted in Russia, in particular to Code of merchant shipping and the law on education. There is an impression that the order’s draft as well as the draft of Government Regulation were prepared for concrete commercial structure by the same hand. In the project’s name and its attachments there is heaping of words and definitions which are not related to each other and only cause questions. There is no order in “the order of recognition”. We would like that the developers of further drafts of regulatory legal documents learn to represent their thoughts literately and use terminology which is applied in international documents. In case of its entry into force, the order’s draft can negatively influence not only on maritime business but also on high status of “Russian maritime register of shipping” which has been performing state functions of issuance of international certificates on the ships under Russian Flag almost 100 years. The “Viking” project is a system of transportations of container goods by the route Baltic sea – Black sea. According to the Ukraine Ministry of Infrastructure, official documents on the project will be signed in the framework of II meeting of Coordination Committee on development the goods transportation in the direction Baltic sea – Black sea. In the meeting’s course it is planned to discuss the prospects of increase of the transportation volumes on the axis Lithuania – Belarus – Ukraine, in particular the trains of combined transport “Viking” (Ilyichevsk/Odessa – Klaipeda) and to consider the question of development of multimodal transportations of the axis Europe- Asia. The II meeting participants will be transport administrations of Lithuania, Ukraine, Belarus, Georgia, Moldova and Azerbaijan. The Russian Federation Ministry of Transport prepared a draft of the Russian Federation government Regulation on accession of the Russian Federation to Protocol of the year 1997 on change of international Convention on non-pollution of the sea by ships of the year 1978 (MARPOL 73/78). According to statement of the draft developers, necessity of accession to Protocol is generated by enlargement of legal basis for cooperation between Russia and other states in the field of prevention of the sea and air pollution produced by ships. As a result of realization of Protocol by the Russian Federation it is planned to raise ecological stability of objects of the maritime transport infrastructure, decrease pollutions of the environment due to minimization of emissions and increase attractiveness of the maritime transport for investors. Realization of Regulation and Protocol of MARPOL Convention does not require additional costs from the federal budget. In the draft of Regulation it is planned to assign control over fulfillment of Protocol requirements to Federal Agency of the marine and river fleet and to assign provision of chargeable services to recognized organizations controlled by the Agency. Developers of the Regulation draft lost somewhere Federal Service of supervision in the sphere of transport though according to the Russian Federation government Regulation №398 dated 30.07.2004 it is to this Service that it was assigned to carry out control and supervision over fulfillment of international Conventions and agreements in the abovementioned sphere. On March 10th, 2011 parliamentary hearings took place on the theme “On top-priority measures for improvement of legislation in the sphere of ensuring of transport safety”. The organizers of hearings were Committee on transport, Committee on construction and land relations as well as Committee on safety. Among participants were deputies, representatives of interested ministries and departments, leading experts of the field. In opening speech Oleg Morozov, the first deputy Chairman of State Duma, spoke on the latest events related to the terrorist act and necessity of improvement of legislation with a purpose of distribution of functions and responsibility. The Ministry of transport made a proposal on giving to private guard enterprises of transport companies the right of inspection of passengers on legal basis. On the meeting there was discussed the problem of cooperation and coordination of the federal and regional bodies responsible for transport and safety. In the course of hearings it was noted that basic law on transport safety needs to be seriously amended. Main attention was given to possibility of follow-up revision of the laws “On countering terrorism” and “On transport safety”. 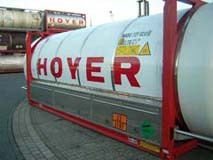 March 2 2011 The company “HOYER”, one of the leading European companies occupied in transportation of dangerous goods in the tank containers, has received the Rostekhnadzor Permission for use on the tank containers designated for transportation of liquefied gases: nitrogen, argon, air, oxygen, natural gas, ethylene, carbon dioxide on the territory of the Russian Federation. The industrial safety expertise, preparation and adaptation of technical documentation were carried out by experts of"National Bureau of Expertise LLC" “National Bureau of Expertise” LLC. Alexander Ivanovich Kasyanov has been appointed Chief of Federal Service on supervision in the sphere of transport. Appropriate executive order №209-p was signed by Chairman of the Russian Federation Government Putin V.V. on 15.02.2011. New Chief was officially represented to colleagues on 18.02.2011. Deputy Minister of transport of the Russian Federation Aristov S.A. congratulated Chief of Federal Service on supervision in the sphere of transport with appointment to the new post and wished to all employees of Rostransnadzor successful and fruitful work with taking into account of increased requirements imposed today at the Service. Within the Action Plan to promote this year’s World Maritime Day theme – Piracy: Orchestrating the Response, a meeting took place at IMO Headquarters on 17 February 2011 between IMO Secretary-General Efthimios E. Mitropoulos and maritime industry and seafarer representatives. All re-iterated the need for urgent and coordinated action from Governments, the shipping industry and the maritime community to address the escalating crisis of kidnap and ransom of seafarers off the coast of Somalia, in the Gulf of Aden, in the Arabian Sea and in the western Indian Ocean. Representatives of the Round Table of international shipping associations (BIMCO, ICS, INTERCARGO and INTERTANKO), OCIMF and ITF agreed that the situation off the coast of Somalia is nearing crisis point with escalating levels of violence, increased risk to seafarers’ lives and significant disruption to global trade and the world economy. The meeting agreed on the need for compliance with the IMO guidance and best management practices; the need for improved co-operation, communication with, and deployment of, naval forces operating in the area; and the need for more proactive measures to avoid ships becoming victim to this organized criminal activity at sea. In noting the reported use of armed personnel by some ship-owners in response to the growing threat of piracy attacks, the meeting maintained the position recommended by IMO (namely, that this should be decided by the shipping companies concerned in consultation with the flag State) and, although recognizing that some shipping companies felt compelled to employ such personnel, reiterated the need to ensure that the recommended preventive, evasive and defensive measures, including reporting, are effectively implemented. The meeting welcomed the initiatives taken by IMO towards development of regional capacity through the Djibouti Code of Conduct and recognized the need for further engagement with navies and coastguards from the region. The contribution being made by naval forces currently operating in the region to protect both humanitarian aid shipments to Somalia operated by the World Food Programme (WFP) and merchant shipping, while also keeping open the vital shipping lanes of the Gulf of Aden and that linking the Persian Gulf with the Cape of Good Hope, was warmly welcomed. The Secretary-General reported on his efforts to encourage increased provision of support to naval and military activities in the region and again called upon Governments and States, including littoral States, to recognize the scale of the issue and its potential impacts and to deploy further military assets accordingly. The Secretary-General highlighted the requirement for financial support for both the IMO Djibouti Code Trust Fund and International Contact Group trust funds to enable the establishment of information-sharing centers and training for experts in the region and the ongoing development of an international infrastructure for the prosecution of captured pirates. As one of the key objectives of the 2011 IMO theme is to provide care, during the post traumatic period, for those attacked of hijacked by pirates and for their families, the meeting welcomed information on the work being undertaken by a group of industry organizations in response. Other items on a full agenda included a review of the outcomes of the “2010 - Year of the Seafarer” theme and an update on the outcome of December’s United Nations Climate Change Conference (COP 16/CMP 6) held in Cancun, Mexico. With respect to international shipping, COP 16/CMP 6 had noted the progress made by IMO on its work plan to limit or reduce the emissions of greenhouse gases from ships and invited the Organization to continue informing future Conferences and their subsidiary bodies of progress on this issue and the Secretary-General briefed the meeting on work being undertaken intersessionally leading to the July 2011 session of the MEPC. During September 5-7, 2011 International Dangerous Goods & Containers Association (NP “ASPOG”) will hold XI International conference “Multimodal transportations of dangerous goods” in St. Petersburg. The conference is timed to coincide with 10th anniversary of the Association. The conference theme: “Modern safety standards of multimodal transportations of dangerous goods and containers”. One of the main goals of the forthcoming conference is familiarization of the business representatives with international requirements, standards, norms and rules concerning the dangerous goods turnover in its latest redactions and clarifications of its provisions to representatives of the international organizations which are permanent participants of our conferences as well as to executive officers of the federal authorities and experts of the field-oriented organizations. The conference work will contribute to increase of the efficiency of interaction of the authorities and business, creation of favorable conditions for improvement of the legislative and regulatory base and fast overcoming of consequences of the economic crisis in the sphere of transportation of goods and containers. The decision taken upon results of the conference work will be directed to the federal legislative and executive authorities and to the international structures. We invite the chief managers and employees of the interested organizations to take part in the conference work. Please follow the information on preparation for the conference on the site of NP “ASPOG” www.idgca.org. fax: +7 (812) 421-54-51, +7 (812) 740-20-19. On February 8-11, 2011 a meeting on the subject of revision of the Agreement on International Railroad Freight Traffic took place at the Committee of the Organization of Railroad Cooperation. Information on the meeting outcome will be published in the next issue of the magazine “Dangerous Goods & Containers”. URALCHEM, Open Joint Stock Company announces new appointments. From 25 January, 2011 Dmitry Konyaev, the Commercial Director will hold the position of Chief Executive Officer of URALCHEM, OJSC. He will be in charge of day-to-day operations management of the company. By the order №39/k dated 17.01.2011 the Minister of transport of the Russian Federation Igor Levitin released Alexei Yuryevich Klyavin from the position of director of the Department of state policy in the field marine and river transport. Since January 19, 2011 by the order №41/k dated 18.01.2011 deputy director of the Department of state policy in the field marine and river transport Anna Andreyevna Isaeva was appointed associate director of the Department of state policy in the field marine and river transport. 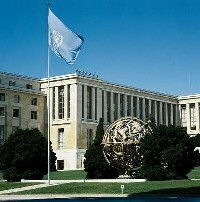 From 20 to 24 June 2011 the 39-th session of the Sub-Committee of Experts on the Transport of Dangerous Goods will be held at the Palais des Nations in Geneva. Hot Briquetted Iron Association (HBIA) has published a guide for transporting and handling Hot Briquetted Iron (HBI) at terminals. This guide is intended for terminal operators, bulk cargo ship and barge operators and charterers, and others involved in HBI freight and logistics operations.